Welcome to a pleasant holiday home which is situated in a lovely archipelago environment and close to the ocean. From the high setting of the holiday home you will have amazing panoramic view over the Ängsholmstrait. On the patio you can both sunbathe and grill. The bridge is within walking distance there you can bathe and fish. The living room and the kitchenette have an open layout where there are two single beds and a sofa bed for one. There is also a bedroom with private entrance and single bed. The holiday home has an electric combustion toilet and an outhouse which is connected with the patio. The wood burning sauna can be used after agreement with the owner, and there is a sundeck located outside it. This is a perfect starting point to discover the archipelago and make trips to Stockholm. It takes about 30min with car or bus to get to Stockholm city. 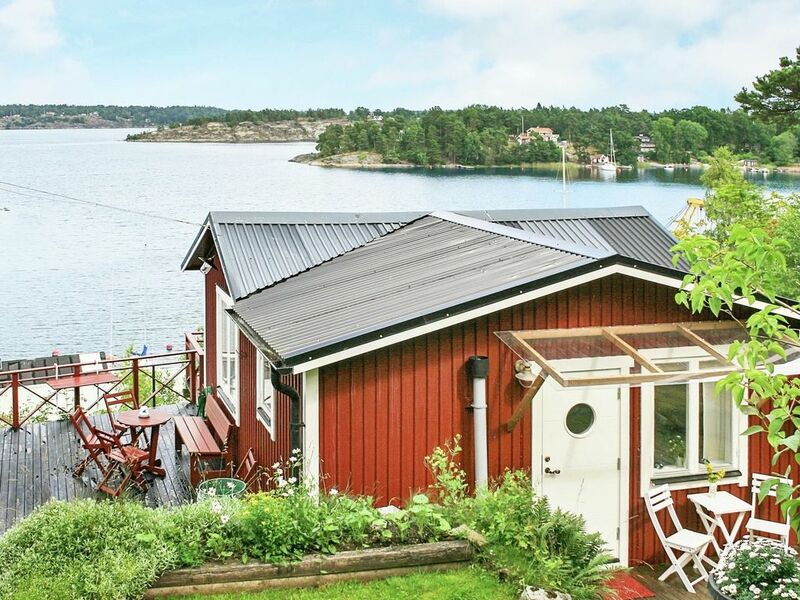 The holiday home is located in the municipality of Värmdö, where there are plenty of famous islands like Ssandhamn, Grinda, Nämdö, Runmarö and Möja. The surrounding area offers plenty of nature and culture opportunities along with many different kinds of events. The holiday home and plot is not suitable for people with disabilities. On the plot next door is the boat docked. Observe that the water is very deep, and that the annex is not available during the season of 2017. Welcome to a pleasant holiday home with panoramic view.